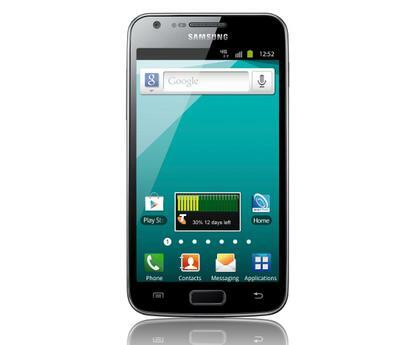 Telstra has today unveiled the second 4G smartphone on the Australian market, with the Samsung Galaxy S II 4G available online today and at Telstra stores from tomorrow. Following the release of the HTC Velocity 4G — which promised data speeds of up to five times faster than its competitors — in January this year, the Galaxy S II 4G will be available on the $59 Freedom Connect plan following an included Mobile Repayment Option Bonus over 24 months. It will be available for $5 per month, with $550 worth of calls and MMS, unlimited SMS, and 1.5GB of data within Australia. Telstra will also sell the S II 4G on its business plan or outright for $768 RRP. The phone is capable of download speeds ranging from 2 megabits per second to 40Mbps and upload speeds from 1Mbps to 10Mbps within 4G coverage areas. However, it uses HSPA+ Dual Channel technology outside of 4G coverage areas with download speeds of 1.1Mbps to 20Mbps. The Samsung Galaxy S II 4G features a 4.5-inch SuperAMOLED Plus screen with a resolution of 800x480-pixels, as well as a 1.5GHz dual core processor and built-in Near Field Communication chip. It also has an 8 megapixel camera capable of 1080p Full HD video recording, 16GB of internal storage, a battery with capacity of 1850mAh, and HD Voice support.